“Bouldering isn't really a sport. It's a climbing activity with metaphysical, mystical, and philosophical overtones." 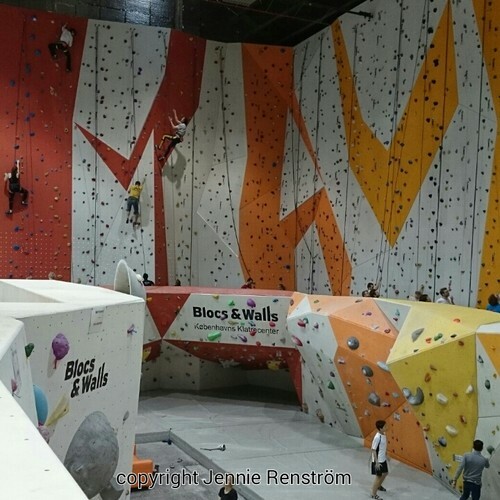 Yesterday I went to the Bricks and Walls climbing center in Copenhagen. Apparently it's the biggest in Northern Europe and built last year. It was really cool and fun! I must say. I have been wanting to do it for a while and now the time was right. It was an awesome experience and I can say I am definately doing it again! 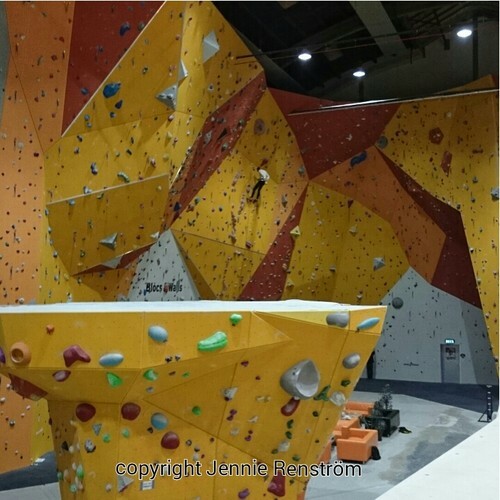 For the first time in my life, I tried bouldering which is basically climbing without a harness and you blimb both vertically and horizontally but not so high. If you fall, there are matts to fall on. I also tried climbing on a 12 m wall in a harness. It was fun but what was really amazing was that I conquered my fear of heights. I know, it doesn't sound very impressive but trust me, it is quite high when you start getting to the top! I was a really great feeling to get to the top twice! Go me!!!! Climbing involves a combination of technique, grace, strength in core, legs, arms and fingers but also involves a sort of interesting problemsolving thinking and focus. It demands a very interesting combination of mental and physical strength that appeals to me. And Im seriously contemplating signing up for a beginners course! Wow. Så spännande. Weell done.